The PAC’s goal is to find and support candidates who can speak genuinely on issues like poverty, immigration, criminal justice, and rights for LGBTQ and disabled people. Summer’s cold. It’s the middle of January, the first truly cold winter day, and Summer is out among the snow flurries. She’s forgone her cheetah-print earmuffs, complete with cat ears, and she's shivering. Even so, newly elected state Rep. Summer Lee (D-Swissvale) is braving the frigid temperatures and standing in the middle of Penn Avenue in East Liberty, her right fist raised high in the air. “My identity is absolutely necessary,” she says. Lee is the first Black woman from Southwestern Pennsylvania ever to hold a seat in Pennsylvania’s state legislature. Despite Allegheny County being home to more than 80,000 Black women for decades, those tens of thousands of women have never seen someone like them shaping policy in the state capitol. Lee’s victory went beyond identity. Her district includes Braddock, Swissvale, Forest Hills, and Homestead; it’s about 70 percent white and 25 percent Black. Lee won her contested primary against a 20-year incumbent by 35 points, securing 67 percent of the vote. Black and non-Black voters clearly wanted a voice like hers: unapologetic and authentic in believing new voices are necessary to progress politics. “My identity absolutely matters. If I wasn't a Black person, and poor, I might not see the importance of policies like mandatory minimums,” says Lee, in reference to prison sentences. And Lee is looking for more candidates who, like her, don't conform to tradition. She is forming a political-action committee called UNITE PAC. The PAC has already garnered support from well-known organizers in the immigrant, criminal-justice, youth, education, and organized-labor communities. The PAC’s goal is to build a coalition of candidates who can advocate and speak genuinely on issues like poverty, immigration, criminal justice, and rights for LGBTQ and disabled people. 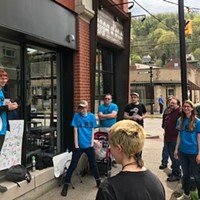 It’s the opposite of the Southwestern Pennsylvania Democratic status quo: the most broadly appealing candidate who moderates their policies in an attempt to please as many voters as possible. To many, the election of Donald Trump was a bucking of the status quo. He spoke authentically, even if it was offensive or dishonest, and he had no prior political experience before running for president. His ascendance was alarming to many, and a powerful force of resistance formed. The Women’s March gathered millions of people who were upset with Trump’s campaign. The political gains were historic two years later, with the Democrats flipping 40 seats in the U.S. House to take control of the chamber. But it didn’t fix every political problem perturbing the people who marched. Trump now has a legitimate check on his power, but many systems are still in control of conservatives who are aligned with the president. Lee thinks to push progress beyond resistance to figures like Trump, a more surgical strategy must be undertaken. “Even this year’s Women’s March has to mean more than just talking about building bridges in a speech,” says Lee. Take Lee’s background as an example. She graduated from Howard Law School in 2015, thinking she wouldn’t get involved in politics. 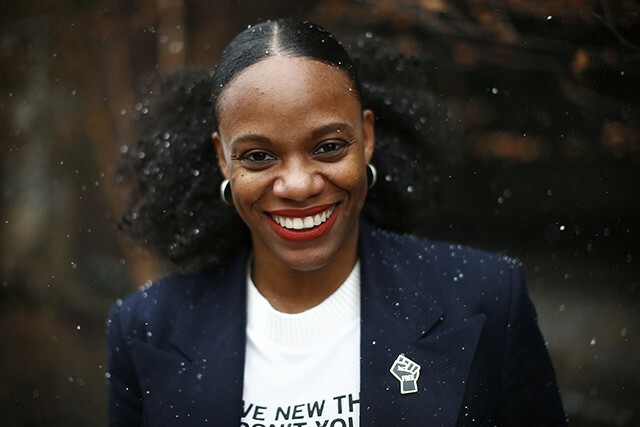 But she campaigned for Hillary Clinton in 2016, joined the Democratic Socialists of America, and in 2017, worked to get Black candidates elected to the Woodland Hills School District board after school officials were caught on tape threatening Black students.And when she decided to run, she says she was fortunate to have strong and organized allies behind her, helping her navigate the process. In that way, UNITE is about helping candidates who might not be lucky enough to have the same support she had. 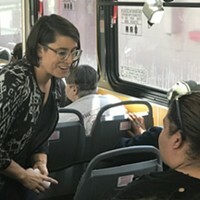 The PAC will raise money and provide connections to non-traditional candidates, the ones inspired by injustices in our political system and deeply motivated to change them. But Lee says there are barriers to getting these types of people to run. She says political family dynasties who had easy access to run for political office have dominated in Pittsburgh. She says people without those connections have a hard time breaking into politics in the same way. There are other benefits to the kind of fundraising Lee hopes to accomplish through UNITE. She says she doesn’t have to spend time calling people to ask for campaign donations, giving her plenty of time to focus on legislation and activism. Lee wants to create a structure through UNITE that will allow candidates and future politicians to do the same. A big chunk of state and federal representatives’ time is making donor calls to ask for campaign donations. Former U.S. Rep. David Jolly (R-Florida) told CBS in 2016 that he would spend hours on the phone, cold-calling donors in hopes to raise up to $18,000 a day. Jolly said it was the same for most members of congress. Lee says informing progressives about a PAC like UNITE could allow donors to give to a cause they had trouble finding before. It’s basically flipping the equation. Progressive donors seek out UNITE instead of politicians spending hours making phone calls, hoping to connect to donors interested in progressive causes. Lee says non-traditional candidates backed by progressives can make a difference in politics, especially if they work together. If candidates who are Black, women, LGBTQ, immigrants, ex-felons, environmentalists, and other marginalized identities coalesce, Lee believes they will have the sway to actually shape policy. This sentiment has led several organizers to join the PAC, including Monica Ruiz of immigrant-rights group Casa San Jose, Brandi Fisher of the Alliance for Police Accountability, and Terri Minor Spencer of community group West End P.O.W.E.R. The Mon Valley is still one of the most polluted regions in Pennsylvania. It’s also one of the poorest, and home to an increasing number of Black residents. On Jan. 9, a fire at U.S. Steel’s Clairton Coke Works led to an air-pollution advisory where Mon Valley residents were told to stay indoors. The Clairton Coke Works has been issued several clean-air violations over the years. Where many Southwestern Pennsylvania politicians have typically balanced their support for the region’s energy economy with more tepid environmentalism, Lee spoke boldly. She sees opportunities for candidates to follow suit, advocating for whatever issue they are passionate about. She says poor communities in urban, suburban and rural Pennsylvania have all been marginalized, and to succeed, they must unite. “Building power together is the only way to survive,” says Lee. 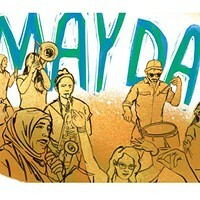 “That is what UNITE is about, recognize that commonality. That we are all trampled on until we work together.